Except for all the positive things about Stanford there is also a negative side to it all. That’s called local politics and municipal mismanagement. There is a local ‘rate payers society’ or whatever it may be called and except for protecting their own little ‘kingdoms’ the majority of the people of our village don’t have to expect anything from them so it’s useless to spend more words to that subject. Don’t misunderstand us; we love this village deeply but the municipal management is quite a problem. Primary service delivery (like rubbish collection, water supply etc.) is excellent but there is a severe lack of vision and proper management. In fact there are no building regulations regarding esthetics (despite heritage committee, etc.) so if anybody wants to build a sky scraper … there is no regulation to stop you. But to keep it closer to the daily life: recently the municipality has been tarring the parking lot of their offices which did not need any tarring at all and some months ago it also tarred a tarred road which was in a superb condition too. 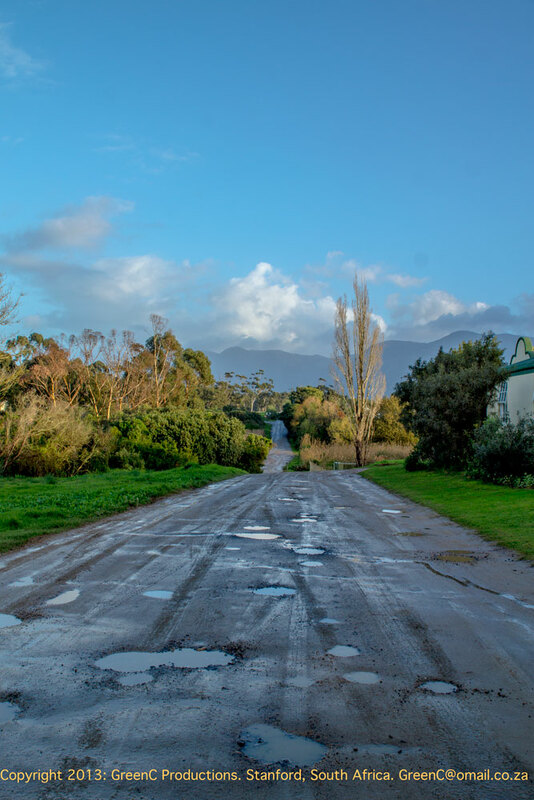 We and many other residents are living along gravel roads that are hardly maintained at all. 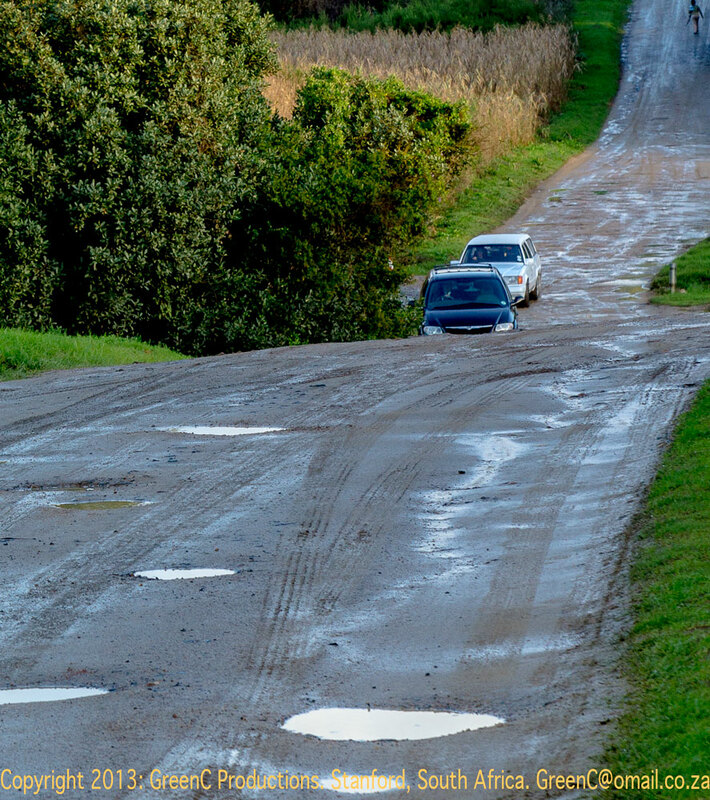 Our road is the second busiest in the village with some heavy truck/trailer movements to and from farms further down the road and it’s full of potholes. We don’t want our road to become a tarred road; we like to keep it rural and well maintained (don’t we and all the others along gravel roads pay municipal rates and taxes?). And erecting a few road narrowings to slow down speedsters is cheaper than tarring a municipal parking lot of 300 square metres..